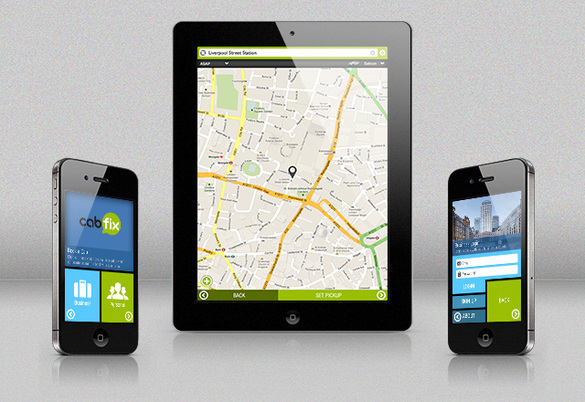 CabFix - the best mobile app for booking cabs in London UK. With the CabFix app you can plan your trip, get quotations, ratings and pick up times from top London cab companies so you can book the best cab for your journey. CabFix has a huge database of addresses, companies and places of interest. When you launch the app it finds your map location ready for you to plan your trip. The CabFix app was developed by us using Sencha Touch technologies on behalf of Yelladoo Limited and is compatible with iPhone, iPad and Android. Yelladoo also offer a desktop browser cab booking service at: www.cabfix.com.